This is a guest post by travel writer Lily Berns. She uses every chance she gets to travel around the world with her family and friends. Experiencing new places and cultures, meeting new people and learning something new every day – this is her life motto. 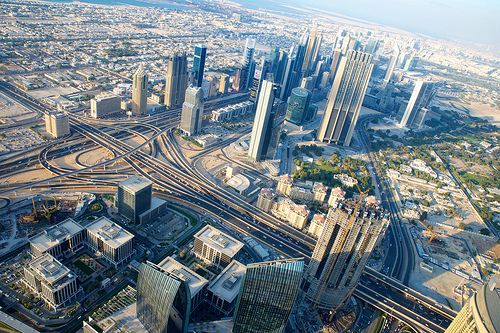 Great, unmatched, gorgeous, stunning – these are the epithets that directly relate to Dubai. This city has too many wonders to calculate them, too many kinds of restaurants and shops to visit each of them. It is a place where boredom is irrelevant; where every day, regardless of the weather, mood, and the political situation in the world, you can do absolutely whatever you want. Dubai has all the opportunities to entertain even those with the most sophisticated taste. And, no matter how big or small your travel budget is, Dubai will always offer you something surprising and absolutely unique. Now you can check out 7 ideas that will help to make your visit to this dream city a memorable and exciting adventure! Dubai is known for its famous and tremendous skyscrapers. But observing them from the ground differs from seeing them from the sky. So, what about changing your observation point? No matter if it’s a flight in a seaplane, in a balloon or in a helicopter – the view will be spectacular and unforgettable. A flight over Dubai will allow you to see the cultural capital of the Emirates from a bird’s-eye view, admiring in the meanwhile the amazing city squares, magnificent skyscrapers, endless sandy coastline and picturesque surroundings. In addition, you will be able to see the past and the present of Dubai and feel the real contrast between East and West. 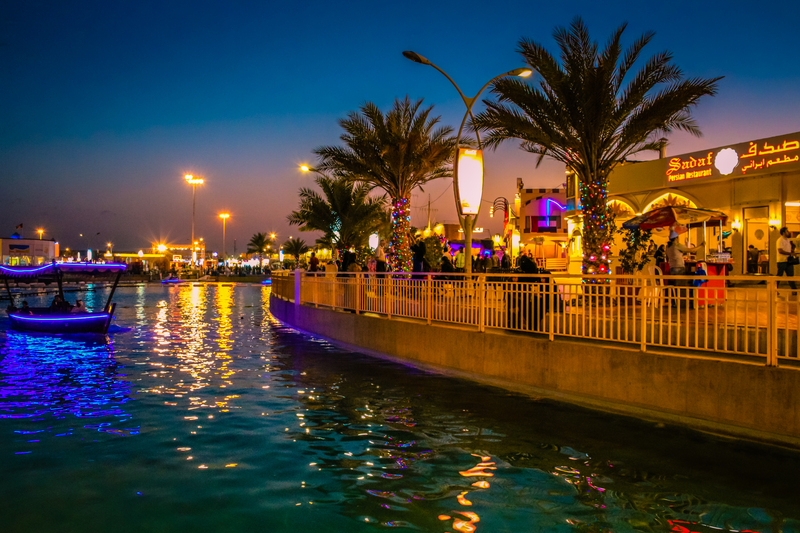 Global Village in Dubai is a themed outdoor trade fair which is one of the most striking seasonal entertainments in the UAE. Geographically this trade fair is a huge fenced area, along which an artificial river is running and where numerous shopping pavilions represent different countries from all over the world. Each of these pavilions is made in the typical style of a certain people, where the representatives of each country offer dishes of the national cuisine, sell various souvenirs and present traditional dances and crafts. At this fair you will be able to get acquainted with a variety of cultures from around the world, purchase some traditional goods and enjoy a range of exciting entertainments that will help to get closer to the traditions and customs both of the UAE and the other countries. 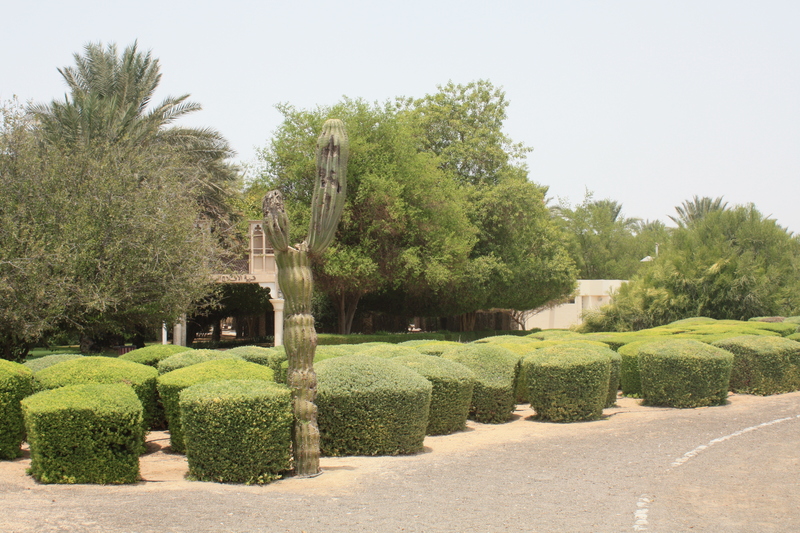 This gorgeous and spacious green park is a popular place for recreation and relaxation in a circle of family or friends. Here everyone will find entertainment for themselves: you can lie lazily on the green lawns, observing flowerbeds and trees, or have a picnic. If you cannot imagine your recreation time without water there is a boat station in the park where you can rent a traditional Arabic boat or gondola. Also, you can play mini-golf, go fishing, cycling or inline skating. Don’t forget to take a ride in the aerial lift, which runs over the park at an altitude of 30 metres, giving an opportunity to admire the gorgeous Dubai views. It should be noted that it might be difficult to get to the park by foot, so you can either take a taxi or rent a cheap car at Dubai Airport (which will prove to be useful during the whole stay in Dubai). The most impressive miracles have always been the open spaces created by nature. The desert around Dubai is filled with reverent fear and delight. 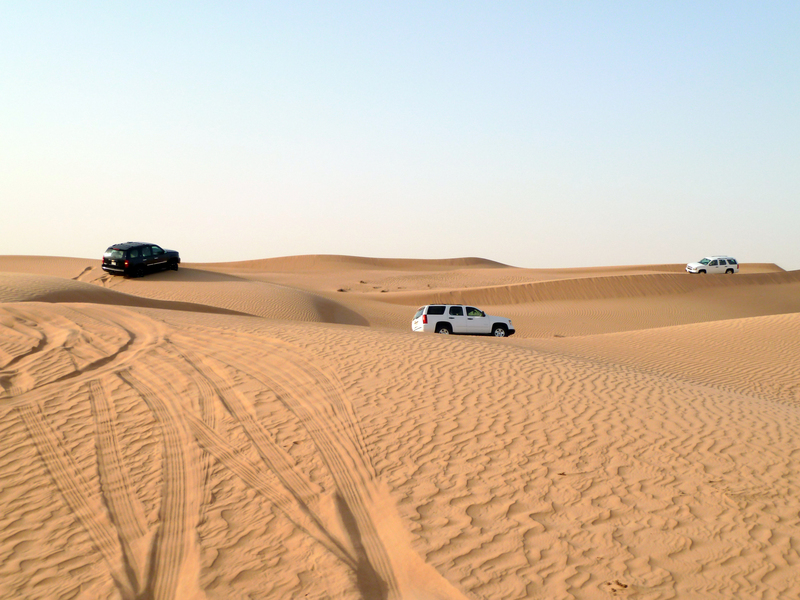 A desert safari will be one of the most amazing experiences during your visit to Dubai. Throughout the journey you will be able to fully enjoy the natural beauty of the UAE: fine golden sand and sun. In a huge SUV or ATV in the company of fellow thrill seekers you can go for a six-hour race by the magnificent dunes, enjoying the space and freedom. It may seem unbelievable, but with Ski Dubai resort you can go skiing or snowboarding even when it’s super hot outside all year round! 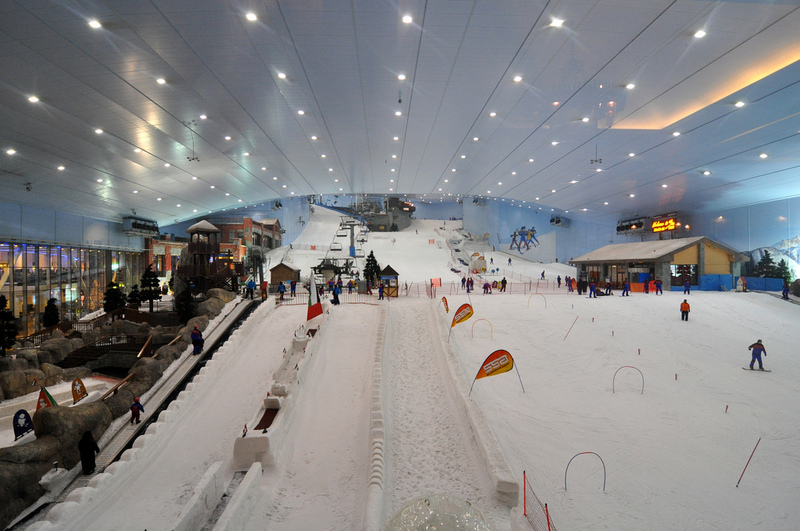 Visitors are able to try five indoor skiing tracks of various types of complexity, suitable both for beginners and professionals. You can descend from the slope of up to 400 metres long. Like any other ski resort, there is a chair lift that will quickly take you from the bottom to the top of the slope. And you needn’t worry about the special equipment – all you might need for skiing you can hire there. Arabian cuisine is very diverse. So here, in Dubai, you can enjoy both traditional Arabian cuisine and dishes from all around the world such as European, Chinese and Japanese. Despite the overall glamour and luxury of the city, Dubai’s restaurants are quite accessible for visitors with any budget. 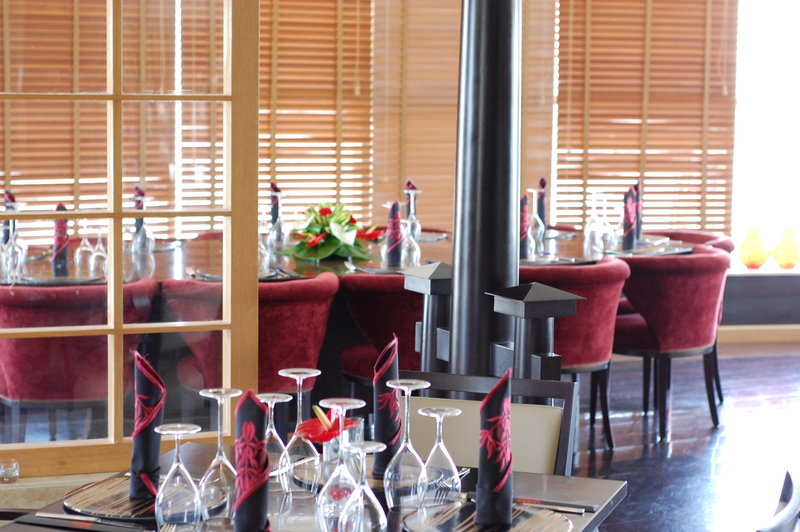 Even the most demanding gourmet palates will be amazed by the diversity and sophistication of Arabian cuisine. It’s not a secret that Dubai has always attracted tourists with its amazing beaches. 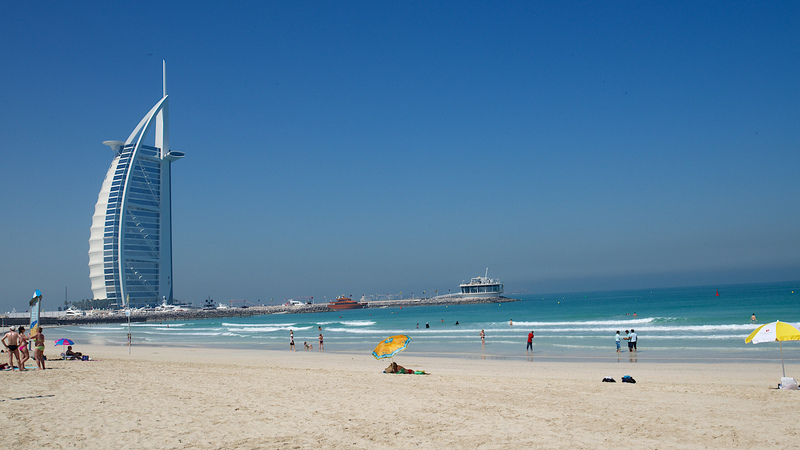 So, your visit to Dubai would not be complete without attending the famous Jumeirah Beach. Being probably the most luxurious beach ever, it is filled with gorgeous five-star hotels along the whole length. Various kinds of water sports, interesting events, parties and entertainments – all this is waiting for you at Jumeirah. Besides, the beach offers wonderful views of the coast of Dubai and its attractions – Burj Khalifa tower, Burj Al Arab hotel and artificial islands in the bay. Taking into consideration the fact that Dubai is a city which is never going to stop surprising its guests with luxury and diversity, the above suggested travel program could be continued. But those will be the ideas for another fantastic visit to Dubai!